The African Development Bank (AfDB) and International Solar Alliance (ISA) will jointly support technical assistance and knowledge transfer for solar development and deployment in sun-shine rich African countries. The African Development Bank (AfDB) has Bank has entered into partnership with the International Solar Alliance (ISA) to scale up solar energy in Africa as a boost to the Power Africa initiative. According to a statement from AfDB, the Bank and ISA will jointly support technical assistance and knowledge transfer for solar development and deployment in sun-shine rich African countries. 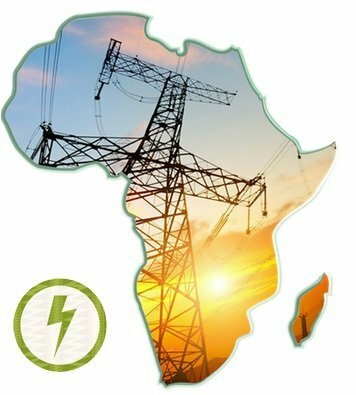 “Both parties will also develop finance instruments for off-grid solar projects, as well as large-scale solar independent power producers for African ISA member countries.” The statement reads. Vice President, Power, Energy, Climate and Green Growth at the African Development Bank Amadou Hott said that the signing is an important milestone for the Bank in its efforts to lead the continent’s transformation towards sustainable energy, through the use of solar technologies, and in its bid to reach universal access to energy in Africa. As part of the new agreement, ISA will support the African Development Bank’s Desert to Power solar initiative –through which the Bank intends to turn Africa’s deserts into new sources of energy. Working with partners to develop 10,000 MW of solar power systems across the Sahel, the initiative is expected to provide electricity to 250 million people, with 90 million of these being on off-grid systems. The partnership agreement was sealed on the margins of the Founding Conference of the International Solar Alliance (ISA) held in New Delhi on March 11. The Conference was co-chaired by Prime Minister Narendra Modi of India and President Emmanuel Macron of France. In his opening remarks at the Conference, President Macron identified the three top priorities of ISA as the identification of solar projects, mobilization of public and private finance at scale with a focus on guarantee instruments, and transfer of innovative technology solutions and capacity building. Prime Minister Modi underscored the need to ensure that better and affordable solar technology is available and accessible to everyone. The joint declaration recognizes the Bank’s New Deal on Energy for Africa, its energy policy and its leadership in working with governments, the private sector, and bilateral and multilateral energy sector initiatives to develop a Transformative Partnership on Energy for Africa. The declaration lays out areas of deeper cooperation between ISA and the Bank, including developing innovative financial instruments to reduce risks and costs associated with solar investments and to leverage climate financing and commercial co-financing and mobilizing concessional financing through the Sustainable Energy Fund for Africa (SEFA) and other Bank-hosted funds. About 50 countries were represented by heads of state/government and ministers including 11 African Presidents and several African prime ministers, who were joined by solar manufacturers, developers, financial institutions, green funds, innovators, start-ups and NGOs. The International Solar Alliance initiative was launched at the UN Climate Change Conference in Paris in November 2015 by Prime Minister Narendra Modi and former French President Francois Hollande. The Alliance is a collaborative platform and a coalition of solar resource rich countries designed to address their special energy needs through a common and agreed approach. 32 of the 60-member countries who have joined the alliance are from Africa.